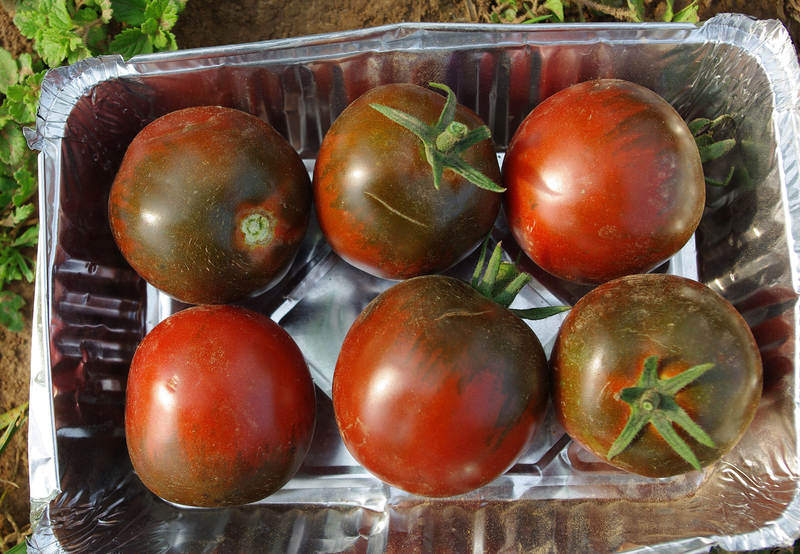 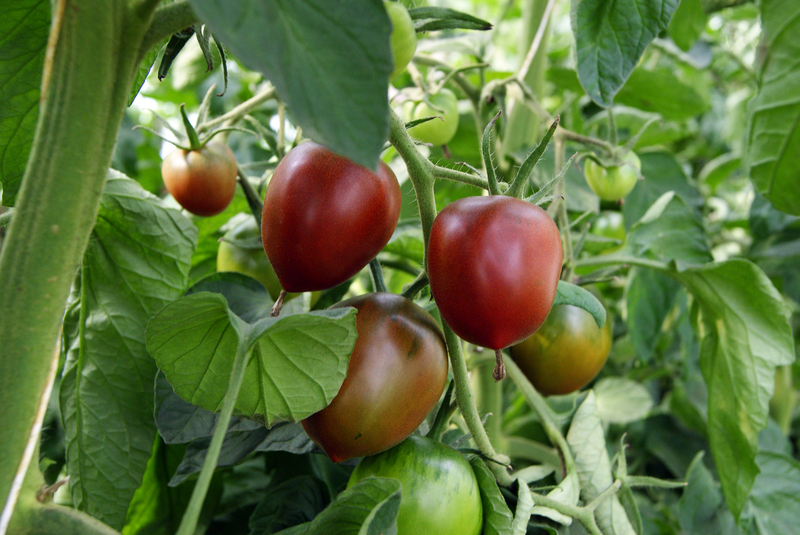 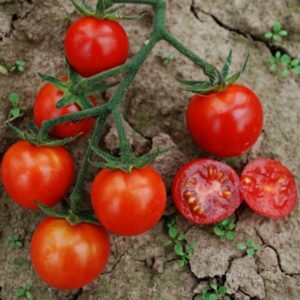 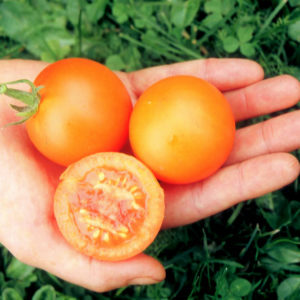 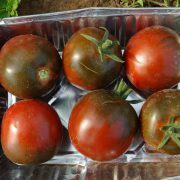 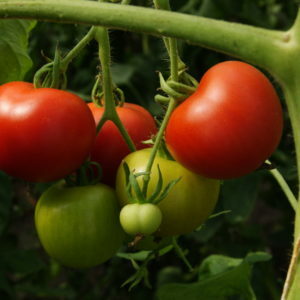 A dark red salad tomato with soft flesh and a unique, captivating aroma. 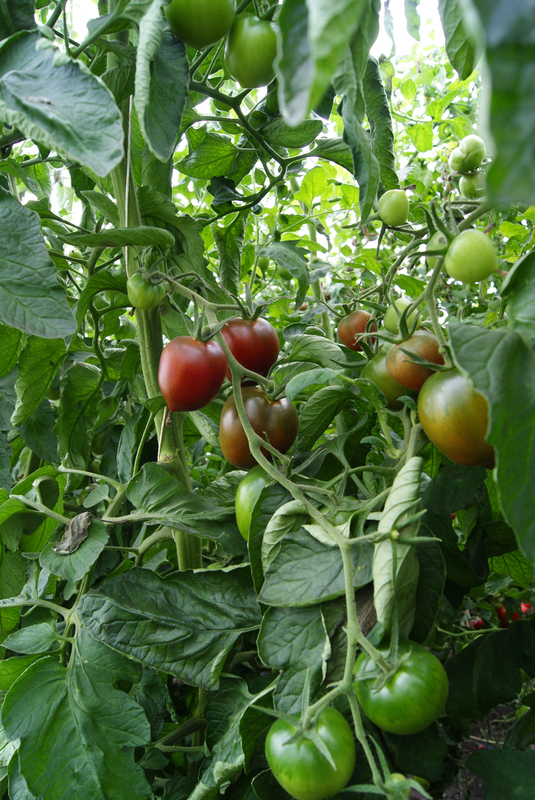 Vigorous growth habit with loose foliage. 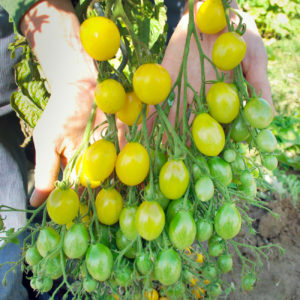 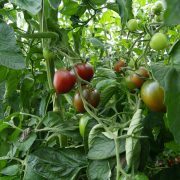 A great variety for the market garden.